Modern shrub rose. 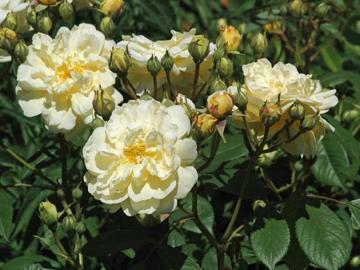 Clusters of yellow flowers fading to cream as they age, repeat flowering though summer Slightly fragrant. Glossy dark green foliage. Can also be trained as a climber.